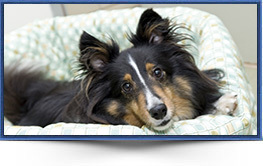 Our clean and spacious accommodations were thoughtfully constructed with the comfort and happiness of your pet in mind. Guest rooms are available in a variety of sizes and enhancements to ensure the enjoyment of every guest – regardless of size and personality. Our feline guests enjoy a destination far beyond the traditional cat boarding experience. 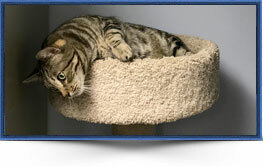 Individually ventilated cat condos all come en suite… each with their own litter area and cozy nook. Being separated from our canine guests helps ensure a low-stress environment where our cats enjoy all kinds of activities and comfort they crave. We provide an innovative and fun alternative to leaving your four-legged friend alone at home. Your dog will hang out with friends and get lavished with attention in our indoor/outdoor playgrounds – all while under the close supervision of our trained and certified pet loving staff whose primary goals are safety and fun. 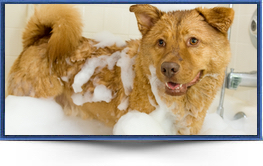 Regardless of your pet’s breed or coat type, bathing is a valuable tool for keeping your pet healthy and happy. Our skilled staff go to great lengths to make sure your pet enjoys a relaxing spa experience. Dogwood Acres is the best! Our Westie, Moose has been going to doggie daycare there since she was about 8 months old, and boards about one weekend every 2-3 months. I am thrilled that Dogwood Acres is close enough to home that I can take my dog there regularly and am so grateful for the staff for looking after her when I’m out of town. 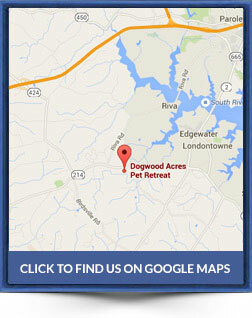 Love, love, love Dogwood Acres Pet Retreat! We’ve been taking our 5-1/2 yr. old lab here since he was 4 months old. He goes at least 2x per week for doggie daycare and has boarded 2x every year for usually 10 days per visit. I can’t imagine another pet retreat anywhere that can hold a candle to what Kurt and Audrey have created here in Davidsonville. I just wanted to quickly send you all my most heartfelt thank you for how above and beyond you guys always seem to go. Sunni is probably one of these most high maintenance dogs I have ever had and she always seems to have some sort of issue when we leave her but you all are so great about giving the best care constantly that she pulls through just fine. Dogwood Acres is the only place I can take Blu and not have him experience separation anxiety. Not only am I pleased with how well they take care of Blu, but they take EXCELLENT care of me too! Thank You Dogwood Acres for all that you do for me and Blu. I don’t know what we’d do without you! I spent weeks touring and researching various kennels withing a 60-mile radius of my home. For years, I’ve heard such great things about Dogwood Acres. So this was my first choice. When we arrived they gave me a tour and the place was immaculate! Thank you Dogwood Acres for taking such care of Ginger! We are so very grateful for the care and attention that all of the staff provide to Carrie and to us as well. They treat us like family. We never have to worry about Carrie’s wellbeing and we have never had a single problem there. 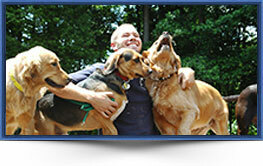 We don’t know what we’d do without wonderful Dogwood Acres Pet Retreat. 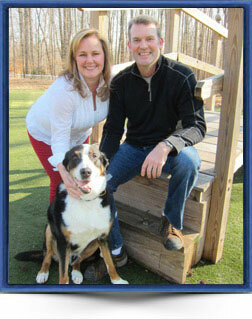 Kurt and Audrey work at the retreat in Davidsonville, MD every day along with their dedicated and pet loving staff. 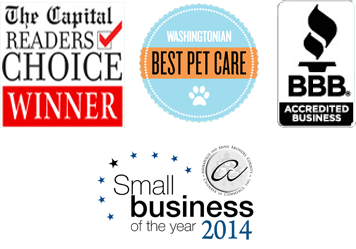 They remain focused on their commitment to provide an environment where pets are happy, healthy and engaged; and superior pet care is provided from a foundation of sound medical practices and positive behavioral methodology. They value the individuality of the pets in their care and share their love of animals through an active engagement with the community.